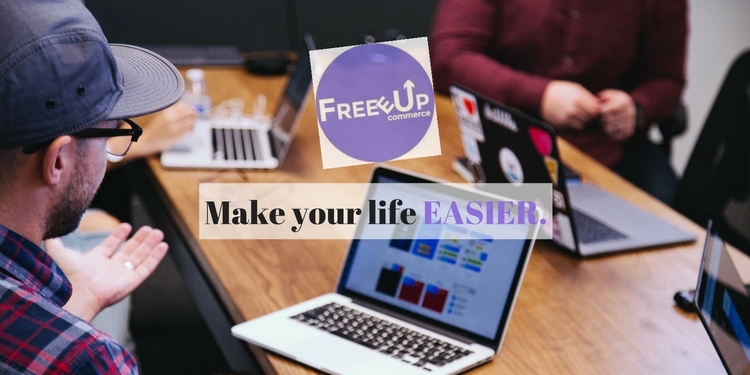 Like every other digital freelance platform, FreeeUp makes life easier for everyone. It is a perfect venue for freelancers and business owners to connect directly. Given the fast-growing economy of digital freelance, these kind of websites provide speed, expertise, quality, and flexibility to scale up an organization’s workforce. As such, a lot of companies make an effort to maintain long-term relationships with them. What is FreeeUp and How Does it Work? FreeeUp is an online marketplace of independent professionals working remotely from all parts of the world. The platform is committed to helping eCommerce business owners attain success with the help of experienced freelancers. In hiring freelancers who specialize in certain tasks, clients are able to streamline their business processes for more productive results. FoundersConnor Gillivan and Nathan Hirsch, have acknowledged the growth in demand for independent, on-demand work. They revolutionized the process of hiring and recruiting freelancers for the eCommerce industry through FreeeUp. By hiring only the best of the best in the business, clients are assured of adding the right people to their company and producing great results. Hundreds of freelancers want to join FreeeUp but only the top 1% are allowed in. The applicants undergo a rigorous process where they are vetted based on their skills and experience. Having the right skill set is important, but so is having the right attitude towards work. The freelancers on FreeeUp are experienced and passionate about what they do. They have been pre-vetted and their services have been tested by clients who keep a close connection with FreeeUp for their hiring needs. FreeeUp saves business owners time posting task descriptions, recruiting, interviewing, and vetting applicants. Running an eCommerce business involves a lot of work. You need to source products, manage inventory, fulfill orders, and answer customer requests, among many other tasks. many of these are tasks that you can delegate to freelancers who specialize in them. Instead of doing mundane tasks, you can focus your time on more important engagements to further advance your business. There are also areas in your business where you need such experts to create a bigger impact. One example is hiring a digital marketing expert to help create an online presence for your brand. If you fail to recognize the need for a specialized workforce to keep your business going, then you are bound to fail. In terms of finding people, FreeeUp helps you hire the right one for your needs. They also provide a lot of resources to help you manage the freelancers you hire. You do not have to go through countless resumes and lengthy interviews only to come up with a short list that you still need to review. Let the hiring experts do that for you. FreeeUp does the screening process and chooses the freelancer that fits all of your requirements. Your part is to do a short interview to confirm that the freelancer is aligned with your business goals. If everything fits perfectly, you can immediately start working together towards the success of your business without wasting so much time. FreeeUp gives business owners fast access to top talent in more than 85 different skill sets. Due to constant innovations in technological tools and globalization, the demand for a more flexible type of work arrangement have increased. This resulted in the rapid growth of the digital freelance market where telecommuting (working remotely) has become more active than ever. This gives business owners boundless access to top talent across the globe. FreeeUp breaks the geographical barriers by identifying skilled professionals who can effectively work from anywhere in the world. These experts are multi-talented, most of them having different skill sets. With the difference in time zones, you can hire freelancers who can work around-the-clock, especially if your business needs it. The freelancers are mostly flexible to the needs of the client. They can work on specific projects at any time without disrupting the normal flow of business. Furthermore, FreeeUp makes life easier by allowing you to hire talent on a need-to basis. Once a project is done, you are not responsible for providing more work. If your expectations are not met, whether or not it is a fault on the freelancer side, you can terminate the project or hire a different freelancer. Any time a specific task comes to mind where you need an expert’s help, FreeeUp is always ready to provide you with a match for your freelancer request. FreeeUp handles all billing for freelancers so business owners don’t have to worry about it. Client-freelancer relationships break at the point where billing fails. Especially since most, if not all of the time, the set-up is remote work. You cannot expect worthy output from freelancers if they do not get paid on time (or not at all). The top talent work with freelance platforms to make sure they get paid while business owners often choose to work with third-party companies to make sure they get the services they need in return. Freelancers put their expertise, passion, and trust in each of their projects. FreeeUp recognizes this, so they make the billing process between clients and freelancers highly organized and easy. An on-site application is available to track work times and progress, which can be viewed at any time. Consolidated invoices are prepared by FreeeUp weekly for review and approval. Even if you have hired several freelancers – whether through FreeeUp or other channels – you can pay them all together through FreeeUp. FreeeUp will be responsible for sending payments to each of them every week. Billing disputes are also handled and resolved by FreeeUp Accounting. FreeeUp helps resolve issues with freelancers should they arise. Remote work culture actually works, as seen in the boom of the digital freelance economy. People are the best asset of every company, and they can drive your business to success if they are managed correctly. Successful relationships are established through trial and error and strengthened through experience. It’s not easy especially if it’s your first time working with remote contractors. FreeeUp makes life easier for new entrepreneurs by providing them with fresh tips on managing remote freelancers effectively. No matter how perfect your relationship with a freelancer is, there may be issues that surface while working together. FreeeUp serves as a mediator between the two parties when internal resolution stalls. It gives business owners the security of resolving each and every problem that may arise. The network promotes a collaborative environment and transparency is encouraged in every project undertaken. This way, freelancers are held accountable for what they agree to deliver. Open communication helps in understanding issues in detail and solving them quickly for the benefit of both parties. FreeeUp saves business owners money because they get introduced to top freelancers at reasonable rates. A common mistake of first-time entrepreneurs is to try and do everything by themselves to save on expenses. What business owners fail to realize is that a company needs people to move forward. Your workforce is the asset of your organization and is the best investment you can make. When trying to save, independent contractors are a more cost-effective option than in-house workers. Freelancers working remotely can get the same amount and quality of work completed at a fraction of the cost. FreeeUp networks with a global pool of top talent who have varied work times and rates to suit your business needs, especially your budget. 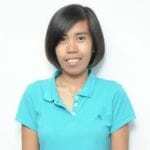 An accounting expert from the Philippines, for instance, can be as good as an accountant from the US, but works for a lower rate. Freelancers from different locations with different areas or levels of expertise can also have the same rates. Depending on their respective market values (in their countries of residence), business owners have the opportunity to choose among freelancers of varying rates, levels of expertise, and specific know-how. FreeeUp will introduce you to a freelancer that matches all of your needs and requirements. At one point in your business, you will need to cope with industry demands and try to shrink your budgets. Most likely, you will need specialized talent to work on certain tasks for your company. Keeping a flexible workforce will help you save money, keep a network of top talent, and implement efficient workflows which will all result in better long-term ROI. Think about the current structure of your organization. 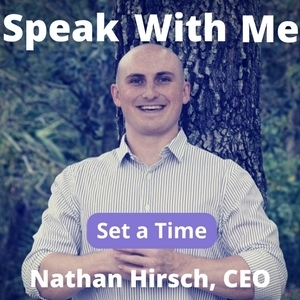 In what specific areas can you hire experts to make your business more productive? Are there any tasks that you can add to your processes that will scale up your business’s performance? Think about how FreeeUp makes life easier for business owners like you. If you’re not sure you’re ready to start hiring, read more about hiring and managing remote freelancers on the FreeeUp blog. Hiring independent professionals is a proactive approach you can take to build a sustainable business model for your company. FreeeUp will help you engage a fully flexible workforce that will allow you to complete more projects in an efficient manner. Sign up for an account today!